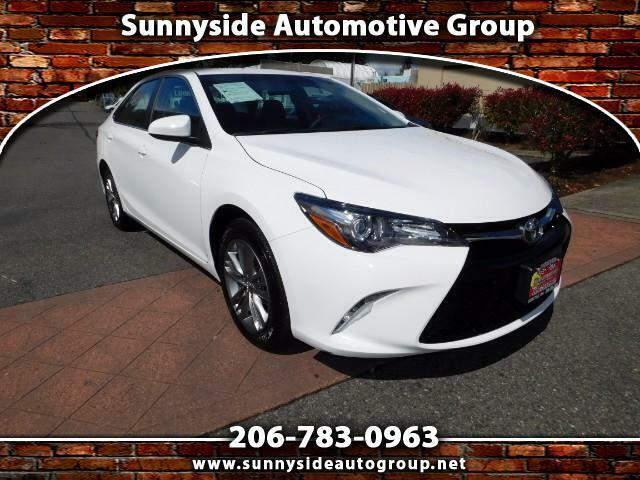 DRASTYCALLY REDUCED FOR QUICK SALE.. *****FINANCING AVAILABLE****TAKE HOME TODAY****HABLAMOS ESPANOL**** 2017 Toyota Camry SE. BEAUTIFUL exterior and super clean interior. Dual interior, with red trim. ONLY 5K miles. Runs and drives great. Ready to hit the road. Clean title vehicle. Great commuter vehicle. SUPER CLEAN. Call or text us today! Comes with FACTORY WARRANTY and optional additional 100,000 miles warranty.